Founder and CEO of Natural Traditions, Inc, Menlo Park, CA, a company promoting Holistic Health, Mind – Body wellness with the use of Smart Nutrition. Completed her BSc in Psychology from India, MBA from National University USA and Graduate from Global Institute of Alternate Medicine as Holistic Health Practitioner, and Aroma Therapist and Holistic Health Practitioner (HHP) from Pacific Institute of Aromatherapy. Trained in various areas of holistic healing, including Herbal Medicine, Nutrition, Body-Mind Medicine, Ayurveda, Yoga, Meditation etc. She is also an international author and speaker on Holistic Health and Aromatherapy. American Association of Drugless Practitioner Board certified her as Holistic Health Practitioner and today she holds an International Certification in Aroma Therapy. How do we integrate holistic modalities into the medical profession? In this video, Dr. Jaya Pancholy, Integrative Holistic Medicine Practitioner, USA, will discuss the integration of ho..
5 Points all adolescents should know about sexual health? In this video, Dr. Jaya Pancholy, Integrative Holistic Medicine Practitioner, USA, will discuss about sexual health i..
Should Ayush be allowed access to contraception? Dr. Jaya Pancholy, Integrative Holistic Medicine Practitioner, USA, will talk about role of Ayush in contraception in..
Should Mammography be routine in India? 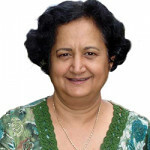 Dr. Jaya Pancholy, Integrative Holistic Medicine Practitioner, USA, will talk about whether mammography has to be rou..